NFL Media analyst Charles Davis observes that Miami senior WR Phillip Dorsett is "able to make contested catches, despite his size," which "bodes well as he moves to next level." "A panel of scouts selected Dorsett as the Practice Player of the Week among wide receivers at the Senior Bowl, and I thought he deserved the award. He's able to make contested catches, despite his size, and obviously that bodes well as he moves to next level. He's not going to rely on his speed alone," Davis wrote. The 5-foot-9 5/8, 183-pounds Dorsett has 4.3 wheels. The Hurricanes' burner has said he molds his game after Steelers WR Antonio Brown and Ravens WR Steve Smith. ESPN NFL Draft analyst Todd McShay came out with his first Mock Draft today, and guess which Canes he's projecting to be first rounders? McShay has linebacker Denzel Perryman going No.24 to the Arizona Cardinals and offensive tackle Ereck Flowers No. 25 to the Carolina Panthers. McShay also listed his "top five prospects still available,'' which means, basically, No. 33 through 37 in the draft -- the top five spots in the second round. A Cane was also included in that list, with McShay listing wide receiver Phillip Dorsett as the No. 2 among those five -- or the No. 34 overall draft pick. Patriots defensive lineman Vince Wilfork said today he is fully committed to a 12th season in the NFL. The 33-year-old was asked about the bubbling retirement speculation on WEEI's Dale & Holley. "There's no way in the world this is my last season," Wilfork said. "I doubt if this is my last one." Wilfork said he worked too hard last year to return from a torn Achilles, and he was already looking forward to defending the Super Bowl title in 2015. The thoughts of retirement haven't even entered his mind. 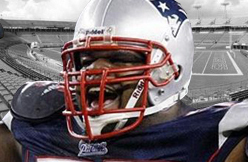 "I still have a lot of football in me," Wilfork said. The Patriots have until March 9 to pick up Wilfork's option for the 2015 and 2016 seasons, so his return to the team isn't necessarily cemented until that happens. The Patriots would owe Wilfork a $4 million roster bonus on the first day of the league year, which is March 10, and his 2015 cap hit will be $8,433,333. Wilfork, who has a $3 million base salary in 2015, can earn up to $8.5 million in cash next season by reaching all of his incentives, including a $300,000 weight bonus, $200,000 workout bonus, $500,000 roster bonus ($31,250 per game on 46-man roster) and $500,000 based on playing time and playoff success. Team chairman John Mara said the team wants free agent FS Antrel Rolle "at the right price." It's going to be a tricky negotiation. Rolle has been very durable (never missed a game in his five-year Giants career) and usually effective, but is coming off a down year and turned 32 in December. He's our No. 3 free agent safety available, behind only Devin McCourty and Rahim Moore. Hall of Fame wide receiver and current NFL Network analyst Michael Irvin revealed for the first time publicly that he was offered a brand new Camaro when he was being recruited as a high school senior. On Wednesday's Dan Patrick Show, Irvin said he was recruited by a number of schools including LSU, Syracuse, Indiana, Michigan State and Florida State before signing with Miami in 1985. When asked what was the biggest gift he was offered during the recruitment process, Irvin laughed. "One of the recruiters was driving me home in a new Camaro and he said, 'Isn't this a nice car? It is yours, all you have to do is sign with us," Irvin revealed. Although Irvin did not reveal which school offered him the new car, he denied it was LSU. When asked by Patrick if it was Florida State, Irvin laughed again stating "Stop that, don't you know I have had enough practice with lawyers? You can't get me with that." 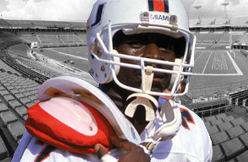 Irvin excelled at Miami, setting school records for career receptions (143) and touchdown receptions (26). He was part of Miami's 1987 national championship team. A week that started in wonderful fashion for Patriots nose tackle Vince Wilfork has gotten even sweeter. Great Minds, a four-year horse owned by Wilfork, captured the eighth race at Fair Grounds Race Course in New Orleans on Thursday. It was the gelding’s first career win in nine tries. The winner’s share of the purse is $22,200, raising Great Minds’ career earnings to $66,965. He had previously raced in New York, Florida and Kentucky before trying Louisiana on Thursday after a lay-off of nearly eight months. The 33-year-old Wilfork earned his second Super Bowl ring as a member of the Patriots on Sunday. In an interview with Boston radio station WEEI on Thursday, Wilfork indicated he planned to play in 2015. Ed Reed, the longtime Ravens safety who’s now retired and an analyst on Inside the NFL, says there’s not a lot of love for the Patriots in Baltimore. But there is respect. Reed said after the Spygate and Deflategate controversies don’t change the fact that the Patriots are a great team — perhaps the greatest dynasty in the history of the sport — and that the Ravens respect the Patriots even while disliking them. Tom Brady was once fined $10,000 for kicking Reed, so it’s not surprising that Reed doesn’t like him. But at this point, just about everyone in the NFL has at least a grudging respect for the Patriots. The Milwaukee Brewers have signed right-handed pitcher Chris Perez to a minor-league deal with an invitation to big-league camp, adding a reliever with closing experience to their bullpen mix. Perez spent last season in a set-up role with the Los Angeles Dodgers, posting a 4.27 ERA in 49 appearances out of the bullpen. The 29-year-old made the All-Star team in 2011 and 2012 while closing games for the Cleveland Indians. Perez became Cleveland's closer in July of 2010 and finished the year with 23 saves and a 1.71 ERA. He saved 36 games in 2011 and recorded 39 saves in 2012, finishing fourth in the American League both seasons. Perez went 5-3 with a 4.33 ERA and 25 saves in 2013 but was released by the Indians following the season. He agreed to a one-year, $2.3 million incentive-laden contract with the Dodgers in the offseason to serve as a set-up man to Kenley Jansen. The right-hander has had several off-the-field incidents in his career, including a June 2013 arrest after a package containing nine ounces of marijuana was delivered to his house in his dog's name. Perez is mostly a two-pitch pitcher, as he almost exclusively uses a fastball and a slider. According to fangraphs.com, Perez's fastball averaged at 94.3 mph last season. With questions at the back end of Milwaukee's bullpen, Perez will have a good chance to make the Opening Day roster with a strong spring training. The Brewers were looking to add a reliever with closing experience to the mix and found Perez, who is currently 15th in career saves (133) among active relievers. Matt Kemp has said all the right things about his new and former club since the Dodgers shipped him to San Diego, shocking their fan base and a good deal of the baseball world. Now it’s Yasmani Grandal’s turn. "I think both teams got what they wanted," the Padres’ former catcher said at his introduction at Los Angeles’ FanFest over the weekend. "The Dodgers were looking for a catcher. The Padres were looking for a big-time bat. That's what Kemp brought to the table, and that's what I brought to the table." Not so hard to read between the lines, is it? In search for a big-time bat, the Padres may very well have given up on one coming into his own. While Grandal’s .225/.327/.401 batting line left a lot to be desired, managing 15 homers in 443 plate appearances so soon after major right knee surgery suggests the 26-year-old catcher still has room to grow. So do his final month of the season (.291/.408/.519) and an outstanding winter ball campaign that included a .328/.469/.541 batting line, two homers and 14 RBIs in 19 games played in the Dominican Republic. His success in winter ball, in particular, gives him confidence that his knee is 100 percent heading into his first year with the Dodgers. “It feels like I’m back at it again, like it was before,” he said. Toronto and Danny Valencia have completed their arbitration hearing, with the infielder asking for $1,675,000 and the Blue Jays arguing for $1.2 million. Arbitrators James Oldham, Sylvia Skratek and Edna Francis are expected to issue their decision Friday, a day after hearing arguments. The 30-year-old, eligible for arbitration for the first time, batted .258 last season with four homers and 30 RBI in 284 plate appearances for Kansas and Toronto, which acquired him on July 28 for right-hander Liam Hendriks and catcher Erik Kratz. Valencia played first, second and third, and had a salary of $532,500. Los Angeles Dodgers C Yasmani Grandal (knee), who is expected to be the team’s main catcher this year, said his batting average was low last year because his surgically repaired right knee wasn’t at full strength. His knee hindered him most while hitting from the right side, as he hit .162 right-handed compared to .241 as a lefty, and all 15 of his home runs came from the left side. Grandal said he’s confident that his knee is fully healed now, however, and the team is encouraged with his health. Miami ILB Denzel Perryman made his debut on Todd McShay's Big Board at No. 25. 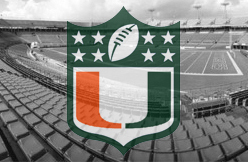 "Perryman's Senior Bowl week was cut short due to an injury, but he flashed as the best linebacker in attendance when he was out there on the field," McShay wrote. "We've really liked what we've seen on tape of him so far, as he has very good instincts, closing burst and tackling ability." Perryman received a third-round projection from the advisory board last winter but elected to return to school. Good call. 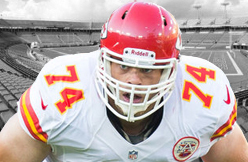 The 6-foot, 243-pounder (4.72 forty) may sneak into Round 1 in the spring. ESPN's Mel Kiper ranks Miami senior TE Clive Walford ahead of Michigan's Devin Funchess. Walford checks in as Kiper's No. 2 TE, one spot ahead of Funchess. The pair, of course, follows consensus top-TE prospect Maxx Williams of Minnesota. "Walford was great in Mobile," Kiper wrote. The 6-foot-4, 258-pound Walford logged 44 receptions for 676 yards and seven touchdowns this season. NFL Media analyst Mike Mayock, who recently said Walford is "the most explosive tight end in this year's draft," expects Walford to run a 40-yard dash of around 4.65. On that note, Kiper wrote that the combine in Indy "will be important for [this tight end] group." Miami senior WR Phillip Dorsett is "more than just a vertical receiver and has the blazing feet and stop-start to beat zone coverage for big plays," according to NFL Media draft analyst Lance Zierlein.
" Mind-boggling big-play production, with half of his catches going for 25-plus yards in 2014. More than just a vertical receiver and has the blazing feet and stop-start to beat zone coverage for big plays," Zierlein wrote. The 5-foot-9 5/8, 183-pounds Dorsett has 4.3 wheels. The Hurricanes' prospect has said he molds his game after Steelers WR Antonio Brown and Ravens WR Steve Smith. Zierlein noted that Dorsett "gets to top speed quickly and is a seamless glider on crossing routes, leaving man-to-man defenses in his wake." A Monday morning arrest on assault and solicitation of prostitution charges has cost Warren Sapp his analyst’s role with the NFL’s television channel. 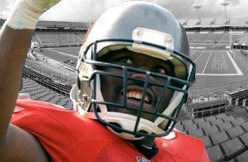 NFL Network announced this afternoon it has ended Sapp’s employment. “Warren Sapp’s contract has been terminated and he no longer works for NFL Network,” NFLN spokesperson Alex Riethmiller said in a statement released by the channel. The 42-year-old Sapp had worked for the network since 2008. With Sapp’s time with the network at a close, it remains to be seen if Sapp will be able to land a television role elsewhere. Warren Sapp’s arrest on Monday gave Jeremy Shockey a sense of schadenfreude. 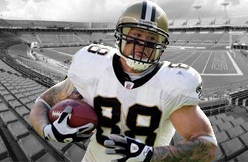 Shockey and Sapp have long disliked each other, and they publicly feuded in 2012 when Sapp reported on NFL Network that he had a source telling him that Shockey was a “snitch” who informed the NFL about the Saints bounty scandal. The NFL later said Sapp’s report was wrong, and NFL Network informed Sapp that his job was to be a commentator, not a reporter. So when Sapp was arrested in Phoenix for soliciting a prostitute the morning after the Super Bowl, Shockey gleefully “reported” that he had a “source” telling him of Sapp’s arrest. Shockey has every right to be angry with Sapp over that “snitch” report three years ago, so it’s not surprising that Shockey is taking delight in Sapp’s misfortune now. Shockey won’t have to worry about Sapp saying anything bad about him again, as NFL Network fired Sapp hours after his arrest. ESPN Panthers reporter David Newton expects Carolina to extend TE Greg Olsen's contract before the 2015 season. With Olsen able to become a free agent after the 2015 season, Newton expects the Panthers will try to get something done this summer rather than letting the situation drag into the season. After Olsen put up a career year in 2014, Carolina runs the risk of "buying high" on a player that will be 30-years-old when the season begins. Olsen has been extremely consistent over the last three seasons, however, and the aging curve for tight ends is usually less steep than other positions. A three- or four-year deal could make sense for both sides. Is Frank Gore more or less likely to return to 49ers? If the 49ers had landed Rob Chudzinski, who was Gore's offensive coordinator at Miami (and who is considered 'old-school Miami,' whatever the heck that means) I would have said the odds have improved. The way the staff has been assembled now – eh, I'm not sure it moves the needle in any particular direction. Frank Gore wants two things: 1.) to win a Super Bowl. 2.) 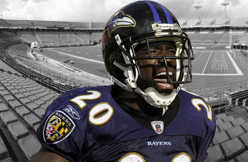 To have another 1,000-yard season, which will get him beyond 12,000 for his career, a barometer for the hall of fame. If he feels he can do that with the 49ers, then it's a no-brainer. But he may keep his options open in March and determine if another teams gives him a better chance to meet his goals. Are the 49ers going to hand the keys to the kingdom to Carlos Hyde? Are they going to incorporate a zone-blocking or stretch running attack? These are questions Gore wants to know before making a decision. I've mentioned before: Gore wonders whether he could be the missing element in Indianapolis, which lacked a strong running game for most of the season. Before the Pro Bowl, Saints tight end Jimmy Graham said his participation in the annual all-star game will help determine whether he needs surgery on the shoulder he injured early in the regular season. After the Pro Bowl, Graham told PFT Live on NBC Sports Radio that the current plan is to continue to rest and rehab the shoulder without surgery. Graham said plenty more during his slot as the final guest in a week full of excellent conversations, from his aggressive approach to pick-up basketball to his love of flying to how the movie Top Gun sparked his passion for flying and provided the template for his first kiss. The six-foot, seven-inch Graham also said he was first able to dunk a basketball when he was merely five feet, eight inches tall. In all, Graham was loose, relaxed, funny — something that doesn’t come through very much while he’s bringing the same intensity to football that he does to basketball. NFL Players Association President Eric Winston took a shot at NFL Commissioner Roger Goodell today, but it didn’t take Winston long to back down. Shortly after Winston told Tom Curran of CSNNE.com that a 2-year-old could do Goodell’s job, Winston issued an apology. If Winston didn’t realize that his conversation with Curran was on the record, that’s Winston’s problem, not Curran’s. When a journalist talks to a source, the conversation is presumed on the record unless both parties explicitly agree that it’s off the record. If Winston didn’t want his comments published, he shouldn’t have said anything unless and until he and Curran agreed to keep their conversation off the record. For Winston to complain that Curran “chose to burn me” doesn’t hold much water. Curran asked a question to a source and then published the source’s answer. That’s what reporters do. The NFLPA walks a fine line when dealing with Goodell: The league is often heavy-handed in its dealings with the players, and when that happens the players need to push back against Goodell. But antagonizing Goodell can be counterproductive for the union. Winston seems to realize that he burned himself with his comments. 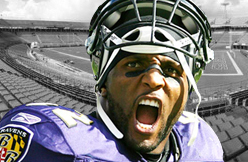 Former Baltimore Ravens linebacker, current ESPN analyst and future Hall of Famer Ray Lewis has moved on to new challenges in life. One of those is hosting a new reality show for Spike TV, Coaching Bad, where Lewis teams up with Dr. Christian Conte to help nine youth coaches shed anger issues and become better coaches and people. Lewis wants to take on the "growing epidemic" of coaches with major anger issues that pervades youth sports more each day. Lewis recently sat down with me to chat about the show. Bleacher Report: What was the inspiration for the show? Ray Lewis: Funny you should ask that—we went around a few times until we landed on the concept of the show and the direction we wanted to go with the show. It was interesting—I was kind of head over heels of excitement. [Anger in coaching] is a huge issue in this world. When it came to it, I was like “That’s a great topic.” We will always have players and coaches that will have that at some level. I look at it as a great thing. Some people look it as coaches and players, but I look it as pure relations to people. B/R: Why do you think so many coaches go down the path of negativity? Lewis: I think what we’re trying to figure out as a sporting culture is: Why do people treat people a certain way? The bottom line of the show is relationships. It’s about people relating to people. Ultimately you’re parenting these kids. If you give them a bunch of curse words [or other negativity] you might inspire them to go out and do something else. That’s why I think we need to figure out what the real issue is and why so many coaches go out on this road to belittle children. B/R: Who were some of your favorite coaches throughout your career? Lewis: My high school coach—coach Ernest Joe—was probably the guy who became the greatest father figure in my life. I didn’t have much. I couldn’t get home from school every day. There were certain things he would sacrifice to go above and beyond. When I got to University of Miami—Dennis Erickson and Randy Shannon, the linebacker coach, they were great coaches. Maxie Baughan, he was the top of the food chain [in Baltimore] with how he would talk to players. My rookie year he would have conversation with me, even knowing I was young, when I was trying to do too much, he would always bring me back to a simple conversation. Probably one of the coaches who I will always respect for the way he coached was Jack Del Rio. Me and Jack would have pure conversations. I can go down the line—Rex [Ryan] was like that. Mike Nolan was like that. I had a good coaching tree of coaches who did it that way. If you want to talk to me, talk to me. Don’t yell at me, I’m not a kid. B/R: You look at the coaches in the Super Bowl—Pete Carroll and Bill Belichick. Different styles and approaches. What do you see in them that makes them successful? Lewis: When you think about Pete or Bill, it’s their structure. It’s their infrastructure of the way their system is run. That’s what you respect the most, definitely when you talk about a Bill Belichick-run team it’s going to be a flawless structure. Under his tutelage it’s going to be very rare to have something out of place. That’s why he’s going up against Pete Carroll, who is a finely oiled machine as well. Both of these teams are fine teams by the coaches’ mentality. That’s why I think when you watch this game boil down to the fourth quarter, the mentality of these coaches and their influence on the league is going to stand out. B/R: Do you think coaches with anger issues undermine the potential good football and other sports do? Lewis: I do. Because people talk about the game of football and how bad it can be, this and that. The game of football not only gave my family life—a different life—it gave me the discipline and structure that is part of the reason that I’m the man I am today. That’s my point of saying the game itself—the ups and downs—they will correct you yourself. I get it, emphasis on things as a coach, but there’s a way to do everything. There’s a way to talk to people like a human being! These kids are spending more time with these coaches than they’re spending with their parents sometimes, and you ask yourself, “If we’re supposed to be the future and we’re the father figures, then don’t brand them in that way!” The game can teach you a lot. It’s a military-style structure to where everything is structured. Now I’d never compare it to the military because that’s life and death, but there are things that happen in the game that are life-changing. The game itself is enough of a roller coaster. The message should be clear on what this show is trying to do, and that is—mothers and fathers—understand who is coaching your kids. Spend some time with who is coaching your kids. It might shock the heck out of you. B/R: You’re known for your passion. How do you channel that in a positive way? Lewis: I don’t take away passion. I love passion. I love for a coach to be passionate. I love energy. All I’m saying is there is a level that we all understand is way too much. When you’re talking about kids, the level I’m talking about is—I don’t care who you are—no coach who is coaching kids should ever curse a kid. When you start affecting other people’s futures [in a negative way], that’s when you’ve missed the point. That’s when you’ve missed your calling to be a father or mother figure. We let the title get in the way. Being a “coach” doesn’t mean you can do whatever you want. You can figure out ways to teach kids. It’s not about wins and losses—they’re a dime a dozen. When you take away character—if you realize respect your elders, or we can get through it—there are so many ways to get through to people. They know nothing about people issues. Everybody has an opinion. If the opinion is really real, I ask the coaches, “Take a step back—would you want someone treating your child this way? Would you let another man treat your child or put their hands on your child the way you’re doing it?” Once again, it’s about relationships. It’s about figuring out a way to talk to people without belittling them. B/R: Dr. Conte calls you one of the greatest motivators on the planet Earth. Do you view yourself that way? How do you get here? Lewis: I got there through a lot of pain. Persecution. And God with every step in my life. My speeches come from a direct connection. There is nothing I say that I say to be light. I’m sharing knowledge because it is to be gained, then shared. When you understand why I’m really doing it, it’s because somebody has to. I go places that people rarely go—the gut of guts. What life is in this world and how much time in this world we worry about everybody else. I don’t want to be liked. I want to be respected. Because if you like me you can throw me away too quick. If you respect me, you may not even like what I was wearing, but you’ll say, “I respect that.” I just believe your greatest motivational speakers are able to get someone to view their life—their situation—differently. That’s where my passion comes from, a very deep-rooted place that I will never let a judgment of people or this world ever dictate my happiness. That’s where my speeches come from. I couldn’t care less what others think. If you’ve spent a lot of time with me, there’s a bunch of things I don’t do. If I’m gonna speak to you, I’m gonna do it from the way I see it or view it. There are gonna be a few nuggets in there that you’ll need to grab and run with it. I have to go back to my room and get to a quiet place after my speeches. Nobody realizes the energy that comes out of me—it’s draining. You spend so much time trying to get someone to understand it. I just want to see people attempt to do it right. B/R: Did you learn anything from your time with these nine coaches? Lewis: I’m really glad you asked that question. What I learned the most—a lot of these coaches are dealing with what a large percentage of our country deals with: past pain. Things from their past that they have never gotten over. Things—some abuse, the way your father treated you or what he said to you—that, when you’re watching this show is that a whole bunch of people are going to have to do a real reality check with themselves. Man, these problems are deeply rooted. The kids aren’t the issue. The issue is that there are things inside of you that you need to get out! If you don’t address these issues, you can’t get better. When you try to help people become a better person, you’re going to have to find out what’s really going in their world. Did someone beat them or do something to them that they didn’t like? It wowed me. “We’re here with these coaches, but how did they get here?” I started to say to myself, “Man, can you imagine the people and the kids that suffer because of someone’s past pain?” When you see the show you’re going to see a very intriguing part in the show because a lot of those in life. His playing career has ended, but that doesn't mean slugger Pat Burrell can no longer accomplish impressive feats — even while holding a beverage. While being filmed by former Philadelphia Phillies teammate Chase Utley on a beach somewhere Sunday afternoon, Burrell successfully slid down a Slip 'N Slide without spilling the protein shake he was holding in one hand. Classic. Textbook. Nobody got hurt — especially the drink. If there were a Super Bowl of Slip 'N Slides, Burrell would be a safe bet in the Beverage Division. Burrell and Utley were teammates on the Phillies from 2003-2008, winning the World Series in '08. Seven years later, Burrell's still got it athletically. Good job framing the scene by Utley. No need for more takes. Burrell, 38, hasn't played since 2011, having moved on to the role of scout and special assistant with the San Francisco Giants. He's got two more World Series rings as an executive after batting .253/.361/.472 with 292 home runs over 12 major league seasons. Only seven stolen bases in 10 attempts in that span, though. Surprising, given his sliding acumen. LOS ANGELES -- Roughly 22,000 people showed up for Saturday’s FanFest at Dodger Stadium, and the fans’ loudest cheers were for Dodgers outfielder Yasiel Puig, with Vin Scully a close second and Tommy Lasorda, Adrian Gonzalez and Fernando Valenzuela roughly tied for third. Without Clayton Kershaw, who stayed home in Texas to be with his wife and newborn baby, there was otherwise an absence of star power at the event. A year earlier, Matt Kemp had electrified the FanFest crowd by promising a big bounce-back season following a disappointing, injury-ravaged 2013. On Saturday, Yasmani Grandal, the man for whom the Dodgers traded Kemp, was practically anonymous wearing his No. 9 jersey. Grandal said he doesn’t feel any heightened expectations after the Dodgers gave up Kemp, one of their most powerful bats and a marketing cog for the team. Days after the trade, the team had to hastily change a Kemp billboard just down the hill from their stadium at the corner of Elysian Park Avenue and Sunset Boulevard. Grandal was playing winter ball in the Dominican Republic when he got a phone call from his agent alerting him that trade talks were heating up. Grandal said he was told five teams were interested in him, with the Dodgers emerging as the front-runners. The Dodgers traded Kemp and catcher Tim Federowicz to San Diego on Dec. 18 for Grandal and two minor leaguers. The Dodgers new front office valued Grandal highly because of his ability to frame pitches, and he represented a significant offensive upgrade over Dodgers catchers, who collectively batted .181 and slugged .261 last season. Grandal has a career .763 OPS, and he’s a switch-hitter, which gives manager Don Mattingly better platoon options. Ellis figures to catch primarily when the Dodgers are facing a left-handed pitcher or when Kershaw is pitching because of their strong relationship. 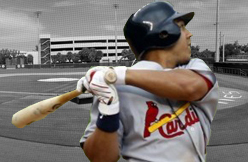 With the NFL season complete and with less than 3 weeks until pitchers report to Spring Training, Mosby Building Arts kicks off their baseball season early with a new commercial starring St. Louis Cardinals’ Jon Jay. In the TV spot for the residential remodeling and architecture firm, St. Louis centerfielder Jay likens the work of Mosby’s team of experts to that of a championship ball club. View Jay’s commercial. Jon Jay’s remodeling spot debuted and aired several times on KSDK during the Super Bowl, and will regularly run on KSDK and Fox Sports Midwest.